Your home safe has arrived, and as you are admiring it in your living room you realize you haven’t quite thought of a good place for it. 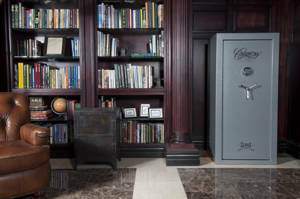 Where do you hide your safe for maximum security? You want it in a place where it’s not hard to access, but hard to reach for kids or even a possible burglar. A place that a would-be thief wouldn’t think to look. Cannon Safe has compiled a list of creative hiding places for your new safe while leaving you with the capability of grabbing what you need without any problems. If you have stairs, hiding your home safe under them is a great place to protect your valuables while having quick access. It also depends on whether or not you already have an opening built under your stairs that will determine the time and cost put into using this option to hide your safe. 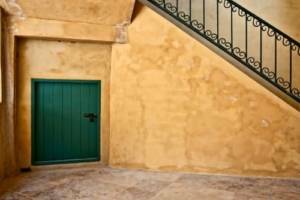 If you already have an opening or storage under your stairs, it’s a simple installation. If you don’t have an opening, installation can be more time consuming but well worth it. Although requiring a bit more work, installing a gun safe into your house–like your closet for example–does increase security. The safe is stored in a tight place that a potential burglar’s options are limited to getting into it. The tight quarters of a closet make it much harder to swing blunt force tools then it would be if the safe were out in the open. Not only that, boxes and clothes can also hide the safe door. This option is a bit more complicated and expensive so we recommend weighing all the options beforehand. 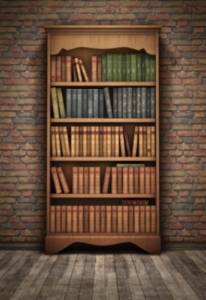 When you do not need constant access to your safe, hiding it behind a bookshelf or a heavy piece of furniture might be the best option. The piece of furniture should be big enough that putting your safe behind it will conceal it from anyone who doesn’t know it’s there. The idea is for the thief to have a difficult time moving the furniture, making it highly unlikely that they would find the hidden safe. 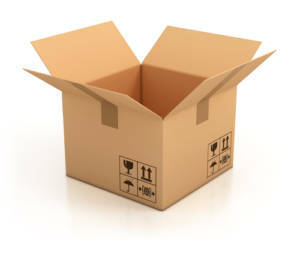 If you want your safe stored in your garage but you’re worried about others seeing it, store it inside a cardboard moving box. A cardboard box is an easy and tactile way to hide your safe. Most people have boxes in their garage for storage, so burglars and unwanted guests wouldn’t think twice of what’s in the box. Of course, depending on the size of your safe will also depend on the number of boxes to use. Tape each box into a sealed cube, as if you are getting ready to ship them out. Pile them as high as your safe, but a little wider than the safe. Cut out the back and bottom of the stack leaving the front, sides, and top intact. Fasten together all of the boxes with tape, creating a “false front” where you are able to easily slide into the safe all the while completely concealing it and leaving the impression that there is nothing but stacks of boxes. When you need access to your safe, slide the cardboard box “frame” forward and to the side! This is another tip if your safe is in your garage or even your basement. If you have, or can get access to an old fridge that is no longer in use it’s a quick and simple way to hide your safe. Simply cut the back out of the fridge and put the safe inside, most people have a second fridge in their garages and basements so they won’t think twice to check in there! Have other ideas on how to hide your gun safe? Let us know in a comment below!